Prescription Drug Abuse • Prescription Drug Treatment • Relapse Prevention • Substance Abuse TreatmentWhat is Adderall? Adderall is an amphetamine that is classified as a schedule II drug which means that it has a high potential for abuse, dependency, and addiction. Adderall is a prescription drug that is prescribed to those who have ADHD and works by boosting the dopamine levels which, in turn, allow the individual to become more alert and have a longer attention span. Adderall has become a highly-abused substance, especially in college students, as it has a similar high to cocaine. When the drug is not taken as prescribed or an individual who does not require the medication uses it, it lessens blood flow which can result in feeling ‘high’ and energize. While Adderall is a controlled substance that can only be obtained through a doctors prescription, there are still negative side effects that can ensue even when taken as prescribed. 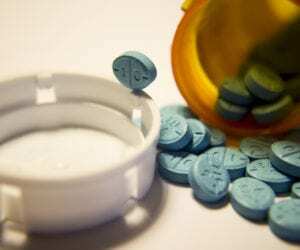 Complications surrounding the abuse of Adderall are very serious and can be potentially life-threatening. The drug has become a sought-after recreational drug due to its euphoric effects which mimic those of illicit drugs. Unfortunately, many individuals who are prescribed Adderall sell the capsules on the black market in an effort to make money while also providing invidiously with a controlled and desired substance. There are growing concerns surrounding the prescription of Adderall due to its intense side effects and high potential for abuse. In fact, in some countries such as Japan, the prescription of Adderall is prohibited completely. Serious interactions can occur when an individual is taking Adderall with other substances. Alcohol is the main substance that has serious negative interactions when consumed while an individual is on Adderall. Since Adderall works to conceal the intoxication level of the individual, it is much easier to consume far more alcohol than what would normally be consumed without having taken Adderall. This can be extremely dangerous as the individual is unaware of how inebriated they really are. Not knowing your blood alcohol level can mean that you will not make sound decisions which can result in a dangerous lifestyle. Getting behind the wheel after substance interactions are very dangerous and can be life-threatening. If you or someone close to you is abusing Adderall, treatment can help. The continued use of the drug can put your health at risk and may even create more health consequences as a result. During treatment, a period of medical detox may be required in order to safely wean the individual off of the substance of abuse. This is to ensure that they do not experience intense withdrawal symptoms as they would if they went ‘cold turkey’.